At the age of twelve I came up with an idea that appeared so brilliant because it was simple like peanut butter and jelly. The idea was to combine band-aids with first aid ointment (before it was invented). I saved up all my monies in my “kosher piggy bank” and brought them to a “Inventors Help Business” to make my dream come true. This organization would perform a patent search, build a business plan and find other unique ways to spend my monies. Unfortunately to complete the project would require a deeper investment and when my family found out about the project it was immediately shut down. Not having the confidence or cash to continue my band aid idea died a bloody death. 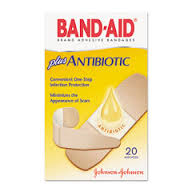 Today whenever I look at that band aids with ointment I’m proud that my idea really worked and has made millions for others although I would be prouder and happier if they decided to share it with the true inventor.